Candidate must pass Bachelor Degree in Civil Engineering or Equivalent from any Institute recognized by AICTE. · Rs. 12000/- to Rs. 40000/- PM (PB-4) with Grade Pay of Rs.5400/- PM Plus other allowances as per rules of the Govt. · 21 years to 43 years as on 01/01/2017 as per Govt. OM No. ABP 06/2016/04 dated 03-03-2016. The upper age limit is relaxable by 5 years in case of SC/ST/PWD candidates and 2 years for Ex-Serviceman. 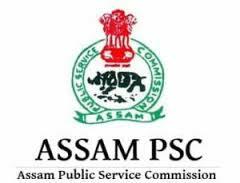 · Application form may be obtained by downloading the same from the APSC’s website www.apsc.nic.in. The name of the post applied for should be clearly written in “bold letters” in the Envelope containing the application form and it should be addressed to the Deputy Secretary, APSC.